In a formal announcement, the Disney revealed that music’s reigning queen will star as Nala in the Jon Favreau production. 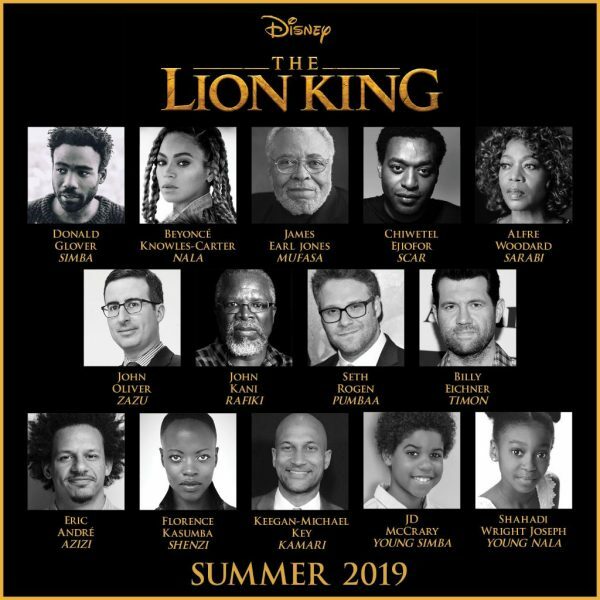 As widely touted, Donald Glover will top the bill as Simba, while James Earl Jones will reprise his role of his father Mufasa in the flick which arrives Summer 2019. A host of other top-tier talents will also appear including Alfre Woodard, Chiwetel Ejifor, and Seth Rogen. Earlier this summer, sources close to the production shared that Bey has also been tapped to executive produce and record all-new material for the soundtrack. Released originally in 1994, ‘The Lion King’ is one of the highest-grossing animated films of all time – amassing $968.5 million globally.